Posted on May 10, 2018 at 1:41 am. 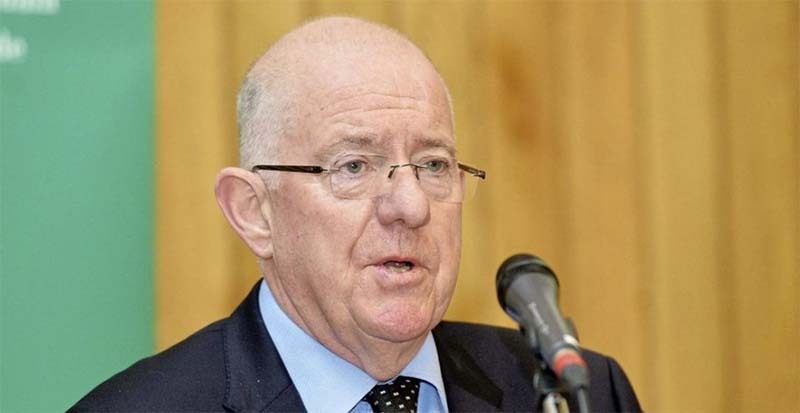 The Ireland Justice Minister, Charlie Flanagan has on Tuesday, tabled a new proposal to the cabinet that seeks to curb the activities of betting companies and further restrict online and TV adverts. The review will also investigate the possibility of regulating online casinos which will allow the government to tax the industry, with millions of Euro currently going to offshore sites. It also seeks to help compulsive gamblers losing huge sums of money to due to addiction. With the new proposal, betting firms may be forced to close the accounts of compulsive gamblers or risk being fined. The governing Fine Gael Independent Coalition has recently agreed to enact and enforce new laws in the gambling sector. This is as a response to the Fianna Fáil bill raised by Lower House member Anne Rabbitte and backbencher Jack Chambers. With the many effects of gambling especially compulsive gambling on households, Mr Flanagan will seek Cabinets approval for countermeasures to control the menace of the industry. The proposal includes establishing an independent gambling regulator. The new regulator will oversee the activities of gambling firms and impose fines for non-compliance with the laws. It will also include a demand by gambling firms to close or freeze the accounts of any compulsive gambler. The firms will have to enforce this if there are adequate proofs that a gambler is losing more money than they can repay. To ensure compliance the regulator may pose as a compulsive gambler. If Cabinet accepts the law and implements it, it will also regulate the online casino sector by introducing the new licensing system and outlawing fixed-odd betting terminals. The proposed law is expected to meet fierce opposition from some gambling operators and gamblers as they consider it too restrictive despite its good intentions. Ireland is not the only country battling to curb problem gambling with Australia having recently updated its Interactive Gambling Act to outlaw online casinos and clamp down on advertising laws.